Most people may be familiar with termites or their destructive reputation. Some of us have even had an encounter with termites and know exactly how much damage they can cause. 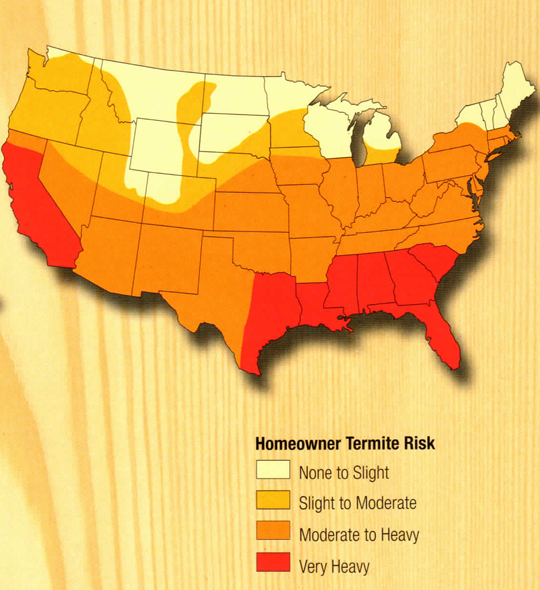 It is estimated that homeowners spend a fortune just to replace wood destroyed by termites. They can be a nightmare if they descend on your home or business premise. When you neglect this issue, more damages can be done. The longer you wait before you control these pests, the higher the price you have to pay. This is why you need to call a termite control company when you suspect that you have a termite infestation. Before you call anyone, however, you need to make sure they are experienced at this kind of job. Our company comprises of experienced people who will help you eradicate this problem as well as give you tips on how to prevent it in the future. 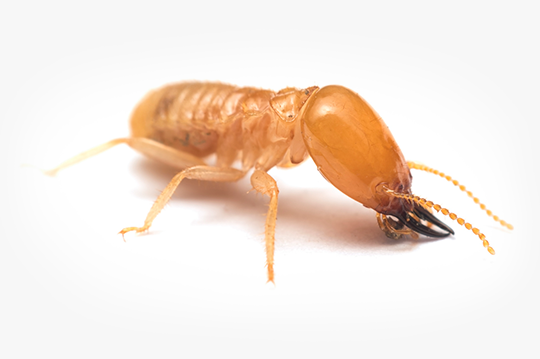 Our team of specialists comprises of professionally trained technicians who possess extensive experience in termite treatments. Controlling termites is a complex process. If not done correctly, it could be ineffective around your property. This is the main reason why we train and require classes monthly. Our technicians have experience in working at different places like your business or your home. They have a clear understanding of how to handle termiticides to keep everyone and the environment safe. When you hire us, you get a piece of mind that the job will be done professionally. We are a certified firm that works following a standard procedure to ensure we deliver a quality job. The first phase is the inspection. Here we send a team of professionals to inspect your premises as soon as you call us. This is aimed at determining and studying what kind of problem we are dealing with. At this stage, we are also able to estimate and tell you how much the job will cost. After we have the graph for the property, we are ready to commence treatment. During inspection stage, our team finds the vunerable points for termites. Then we send about 2-4 certified professionals to treat for the termites. The treatment involves drilling trenches through the slab foundation then applying the Termidor Termiticide. This liquid is virtually odorless and won’t disrupt your normal routines. Our team uses Termidor 80wg which is considered the best product in the market. We also ensure that our customers enjoy their peace of mind by offering an annual inspection after the initial treatment. This is the guarantee that we provide to our customers; more like an insurance policy. You don’t have to worry if termites come back because we cover you annually with our services. If you have a problem with termites in your home or your business, don’t hesitate to call us. Even a suspicion of termites is enough reason to contact us. If you delay, the damage can be high if your suspicions turn out positive. We aim to please our customers and build a trust in them. Call us today to order our services or just to inquire further about our pest control services. Every termite colony has at least one king and queen, and the queen can live for up to 30 years. Her sole purpose is to reproduce. Nymphs come from hatched eggs. Yearly, queens can lay up to thousands of eggs. When termites are in the nymph state, they form into workers, soldiers, reproductives, and supplementary reproductives. Workers, blind and wingless termites, make up the largest caste. They build, repair, forage for food and care for other termites. Workers are usually found in infested wood. Wingless, sterile and blind termites are called soldiers. They exist to defend the colony. After leaving a colony as swarmers, winged reproductives shed their wings to mate. Each male and female termite that pairs can build a new colony. If the king or queen of a colony dies, supplementary reproductives may serve as replacements. They help increase the population of established colonies.